All human beings want as well as appreciate the benefits of a beautiful, well furnished and a comfortable living environment. Feng Shui - the Chinese art of interior decoration examines how the placement of things and objects affects the energy flow within our house. It also refers to how these objects interact and influence our personal energy flow. Landscapes depicting mountains and sunrise. Lambs are symbols of luck. Cascading water with garden symbolizes good luck. Portraits of people with smiling and serene faces indulge positive energy. 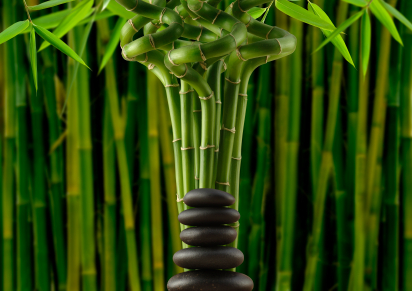 Plants: According to Feng Shui, any plants which are not wilting are known to impart positive energy. Always avoid plants with spiky leaves like cactus. Artificial decors have a neutral effect. Dining tables should not be placed in front of the main door. Dining table facing the toilet affects the health of the natives negatively. Never use a dining table as a partition between two rooms. Make it a point to keep air conditioners, heaters and fans on the left side of the room. Feng Shui for career: Desks are associated with career and thus it needs to be well placed in order to have a positive influence upon one’s career. You should always sit with the back to a wall and the desk in the corner. You should always avoid sitting facing the door as this affects the level of concentration. Supporting beams above desks create pressure and tiredness. A light directly above your head affects the concentration. A desk should not obstruct the doorway. You should never sit too close to a window. Clocks or other timers should never be placed in front of writing desks. This is associated with the well being and health of the inmates of the house. The positioning of the kitchen and the cooking appliances affect the free flow of the energy. The best position of the kitchen is the north, east and southeast corners of the house. Bunk Bed: Your head should not touch the ceiling as this could result in ill health. 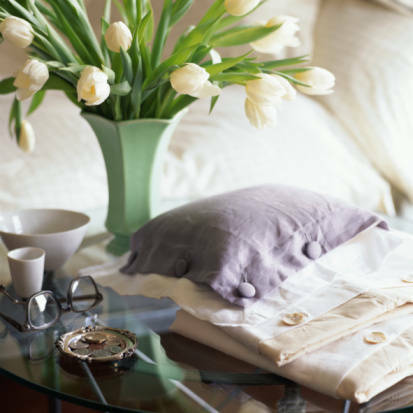 Clocks: Clocks should be placed on either side of the bed not directly in front or behind. Light Bulbs: Should be placed at the side of the bed. If centrally placed, then it may lead to stomach disorders. Dressing Table: Dressing tables should never be placed at the foot of the bed as it affects the health of the inmates adversely. So just try out the Feng Shui principles for placing the right things in the right place and see things work out for you!